At a time when politics is seemingly ruled by ideology and emotion and when immigration is one of the most contentious topics, it is more important than ever to cut through the rhetoric and highlight, in numbers, the reality of the broad spectrum of Latino life in the United States. Latinos are both the largest and fastest-growing racial/ethnic group in the country, even while many continue to fight for their status as Americans. Respected movement builder and former leader of the Tides Foundation Idelisse Malav and her daughter, Celeste Giordani--a communications strategist for the Social Transformation Project--distills the profusion of data, identifying the most telling and engaging facts to assemble a portrait of contemporary Latino life with glimpses of the past and future. From politics and the economy to popular culture, the arts, and ideas about race, gender, and family, Latino Stats both catalogs the inequities that plague Latino communities and documents Latinos' growing power and influence on American life. 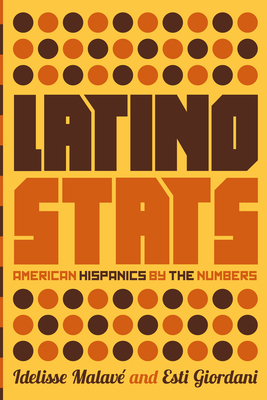 An essential tool for advocates, educators, and policy makers, Latino Stats will be a go-to guidebook for anyone wanting to raise their awareness and increase their understanding of the complex state of our nation. Idelisse Malave is an organizational consultant who ran the Tides Foundation in California for eleven years and was vice president of the Ms. Foundation. She co-authored "Mother Daughter Revolution." Born in Puerto Rico, she grew up and lives in New York City. Esti Giordani is a communications strategist and blogger for the Social Transformation Project. She pens a weekly blog on the Latino experience for "Radar Productions." She is a New York-born Puerto Rican living in Oakland, California.